Houghton Mifflin Harcourt, 9780618056644, 432pp. A passionate and lifelong defender of the environment, Vice President Al Gore describes in this classic best-selling book how human actions and decisions can endanger or safeguard the vulnerable ecosystem that sustains us all. 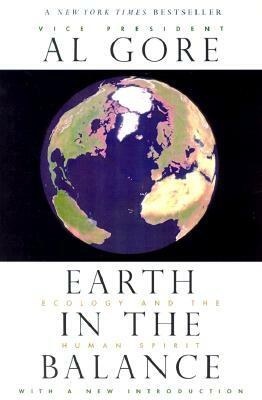 The book's groundbreaking analysis helped place the environment on the national agenda, summoning politicians, the media, and the public to attention and action. The message remains just as urgent today as it did eight years ago: while much has been accomplished, we must meet a global environmental challenge that reaches into every aspect of our society. In brave and unforgettable terms, Earth in the Balance probes the roots of the environmental crisis and offers a bold and forceful vision of a new, more sustainable path. Having provoked international discussion upon its original publication, it continues to confront us with profound challenges. Human civilization must change its course if we are to heal our ailing environment and preserve the earth's ecology for future generations. Vice President Gore describes in a new foreword to this classic what we have achieved and what remains to be done, and issues a clarion call to begin the millennium with an "Environment Decade." It is time to reflect deeply on the fate of our planet and commit ourselves to its future.